I’d also love some help growing our classroom Reading Club. If you’d like to help out, please let me know! I’m excited to get our class reading! 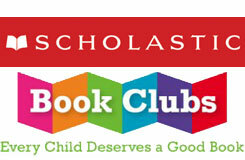 Click the above picture to go to the Scholastic Website to place your order! Make sure to use our classroom code below! – All book orders will be shipped to our classroom so we can celebrate the joy of reading together!